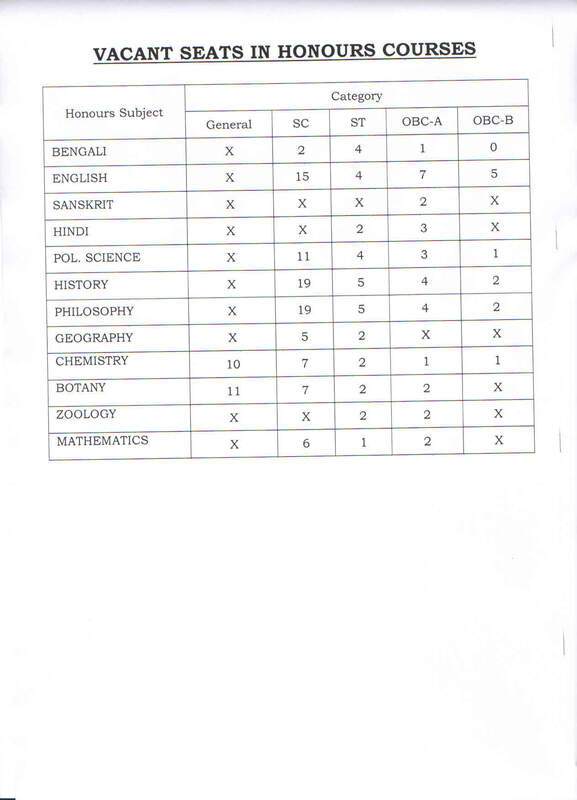 1st Semester General Subject Practical Exam. 3rd Yr. Geography Practical Exam. The Rishi Bankim Chandra College for Women began its journey as erstwhile Rishi Bankim Chandra College on 15th January, 1947. 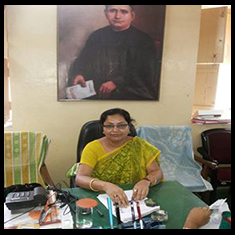 In order to provide scope for general education to the Girls’ of locality. From August, 1964, a morning section solely meant for women was started within the same premises. 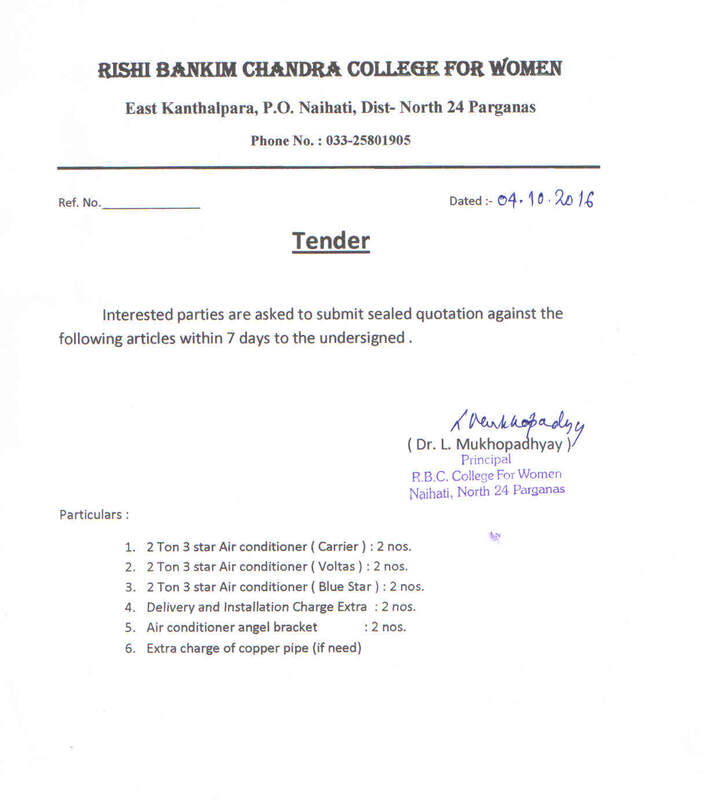 The college was rechristened as Rishi Bankim Chandra College for Women on and from 13th July 1984. 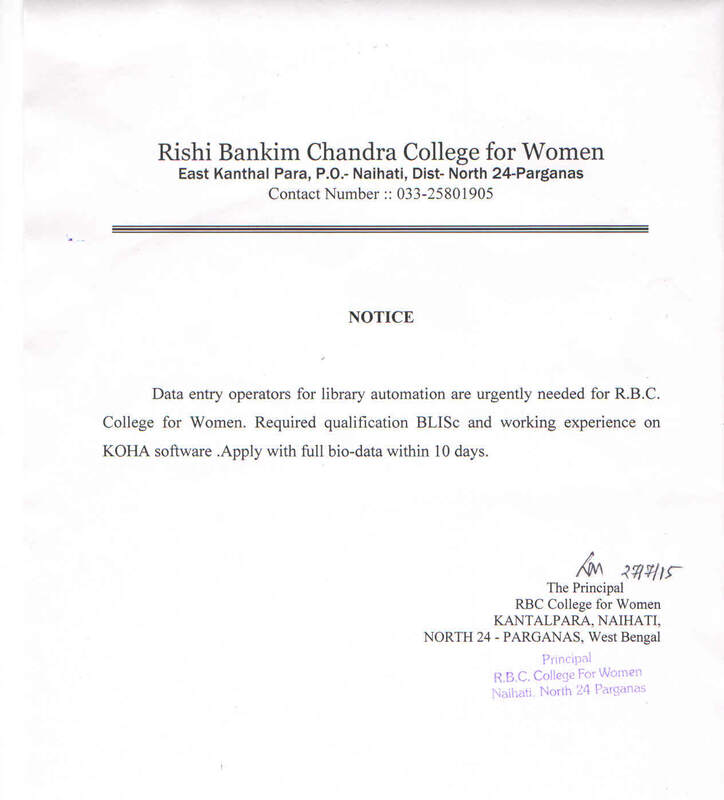 Rishi Bankim Chandra College for Women is affiliated to West Bengal State University, Barasat and UGC recognized. 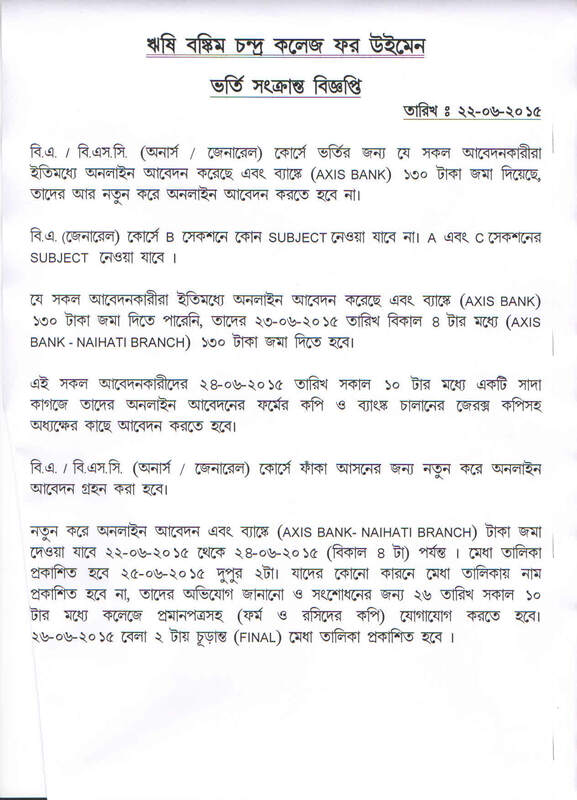 The College offers under graduate (Honours & General) courses in Arts and Science streams and the college is a study centre for higher education facilities:- Directorate of Open and Distance Learning(DODL), Kalyani University affiliated in ENGLISH, BENGALI, HISTORY and EDUCATION from 2014. THE JOURNEY OF THE COLLEGE : Rishi Bankim Chandra College situated in the adjacent area of East Kanthalpara- the hallowed birthplace of the prominent litterateur and nationalist Rishi Bankim Chandra Chattopadhyay and the college began its journey as erstwhile Rishi Bankim Chandra College on 15th January, 1947. From August, 1964, a morning section solely meant for women was started within the same premises. 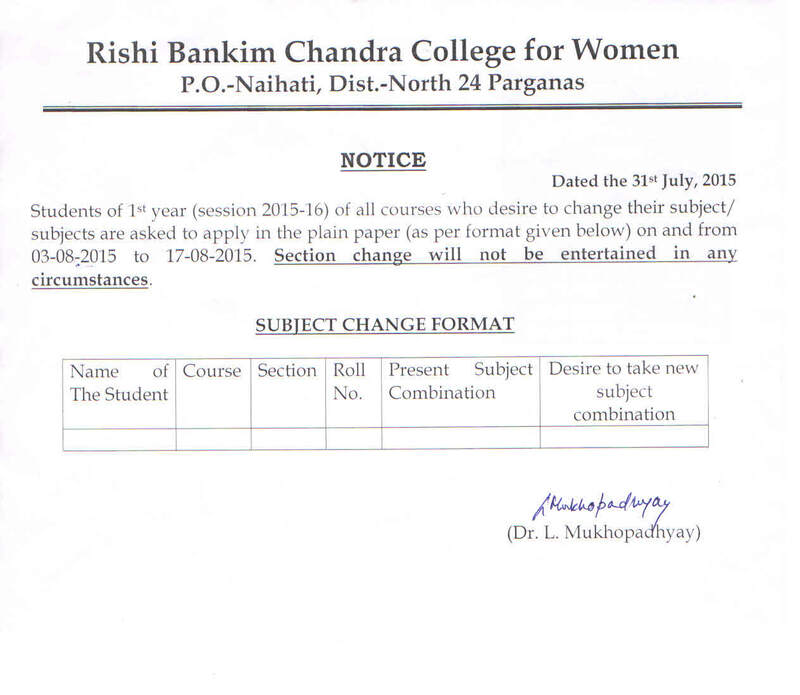 The college was rechristened as Rishi Bankim Chandra College for Women on and from 13th July 1984. 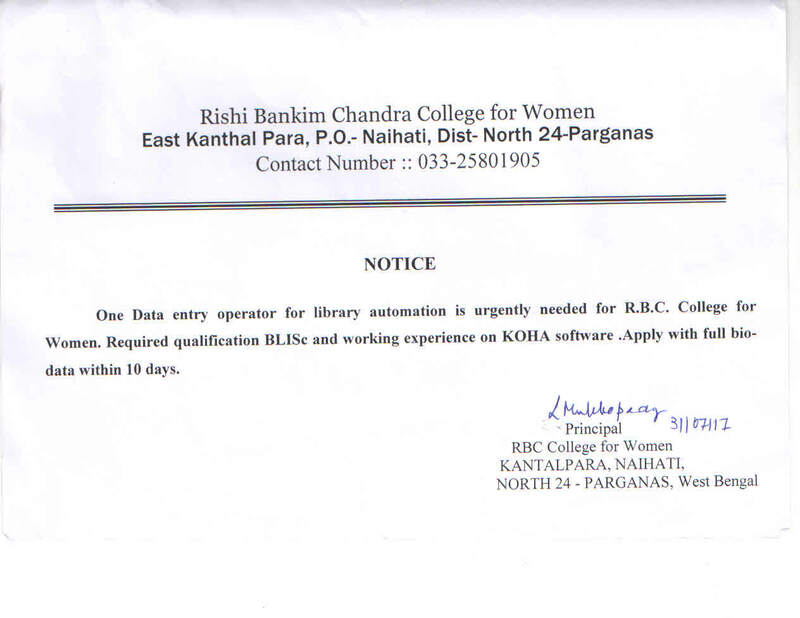 The College offers NCC facilities to interested students. Past cadets have made the college proud by winning medals & trophies on prestigious occasions.